The Healthcare Property Company (HPC) has completed the development of a new full-service clinic for IVF pioneer, Bourn Hall, in Wickford, Essex. The opening of the purpose-built 1,400sq m clinic, which features a state-of-the-art embryology laboratory and cryogenic store, comes as an increasing number of patients are accessing the private sector for IVF treatment. It replaces Bourn Hall’s existing satellite clinic in Wickford, and means patients can have all treatment onsite without the need to travel further afield. 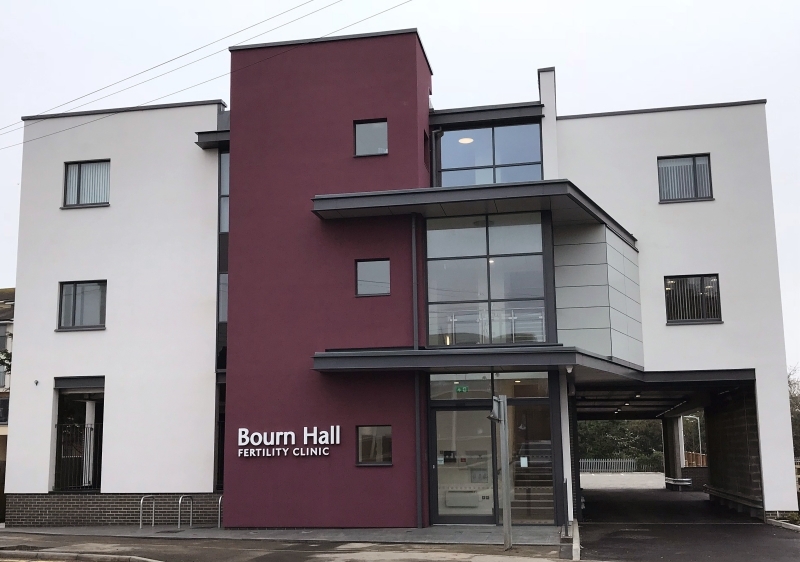 It is the first time that Bourn Hall has commissioned a new-build facility and it is anticipated that it will form a blueprint for further clinics. The clinic design at Wickford comprises three floors – the upper two have a mixture of laboratories and treatment rooms, along with administration, offices and consultation rooms. The ground floor will be used for car parking, extensive and highly-sophisticated plant, loading areas and storage. HPC worked closely with a team of design and construction specialists to develop the high-specification facility, carefully planning everything from the intricate workings of the cleanroom laboratories to the application of the strong brand elements. It was important to deliver a distinctive building with a welcoming interior which would provide a sense of wellbeing and confidence alongside the clinical treatment spaces. The development of the clinic is in line with HPC’s strategy to develop property for private healthcare providers after spending many years working with the NHS primary care sector. Paul Stacey, managing director of HPC, said: “It gives me great pleasure that today HPC has completed the purpose-built state-of-the-art IVF Clinic in Wickford and handed the building over to Bourn Hall, which will operate the facility under a 30-year lease. This high-specification building will provide a full range of IVF services for the people of South and Mid Essex and beyond.